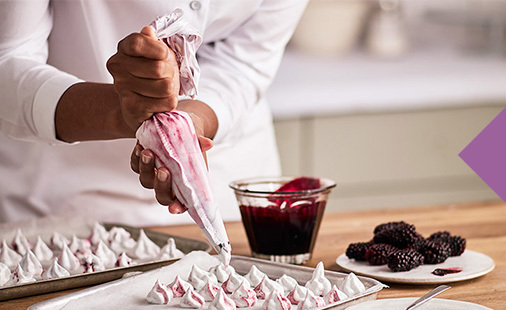 Discover better baking with Kenwood’s Chef Elite. Unleash your potential in the kitchen. 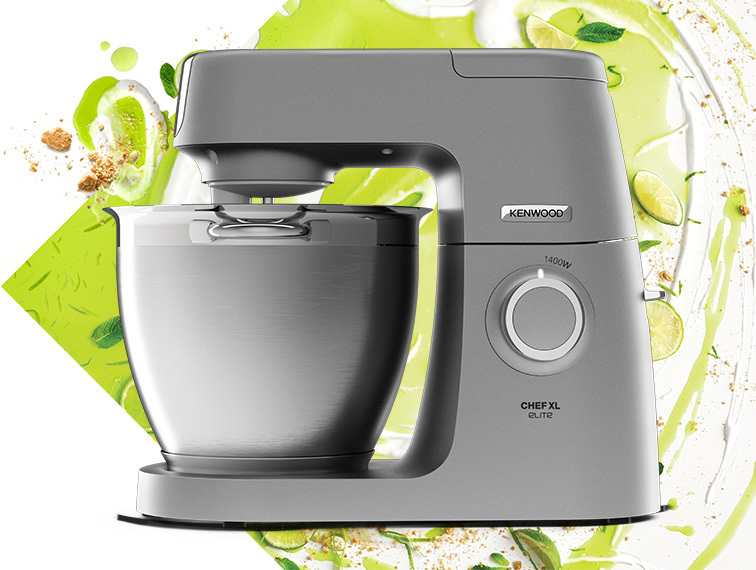 Every baker from beginner to master will love Kenwood’s advanced, stylish food mixers, food processors, and hand mixers. Designed with clever solutions to make every task quicker and easier, whether you’re baking a cake or just getting some veg chopped for coleslaw, you can get it done efficiently. Powerful, controllable, and durable, Kenwood food mixers are full of innovative features that will set your culinary creativity free and help you create delicious meals everyday. 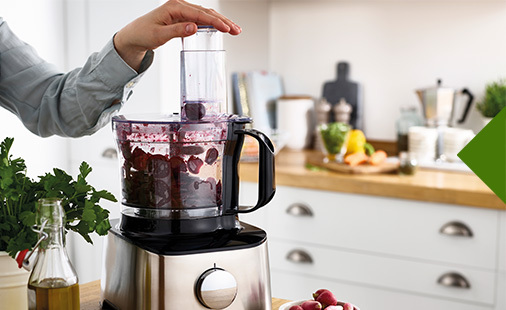 Shred, chop, slice and grate your ingredients precisely and safely with a stylish Kenwood food processor – a kitchen essential that will save time and help you get dinner on the table faster. 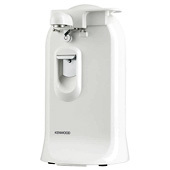 Kenwood hand mixers – the joy of homemade. Every keen baker needs a quality hand mixer they can rely on. Compact and lightweight, Kenwood hand mixers give you greater control, more freedom, and make getting a well-mixed batter or light fluffy whipped cream effortless. Sometimes the smallest products make the biggest difference when it comes to getting things in the kitchen done quickly and easily. 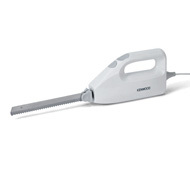 Cutting everything from meat to bread is so much easier with Kenwood’s electric knife. The quality stainless steel blades deliver precise cutting, while the additional freezer blade will make those tougher jobs feel like butter. This tabletop can opener quickly, easily, and safely opens cans of all sizes, from soup to fruit. There’s also a handy knife sharpener and built-in bottle opener too. The perfect kitchen companion if you’re short on storage space, it’s great for chopping breadcrumbs, herbs and making purees. The bowl is dishwasher safe to it’s easy to clean too. 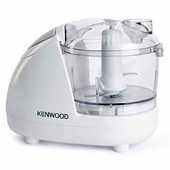 Ever since Kenwood’s founding in 1947, they have improving and innovating their products. Today our kitchen appliances feature advanced electronics, modern materials and exciting new functions to make cooking exciting again. British quality and design is at the heart of every Kenwood appliance, so you can trust it to perform every time.